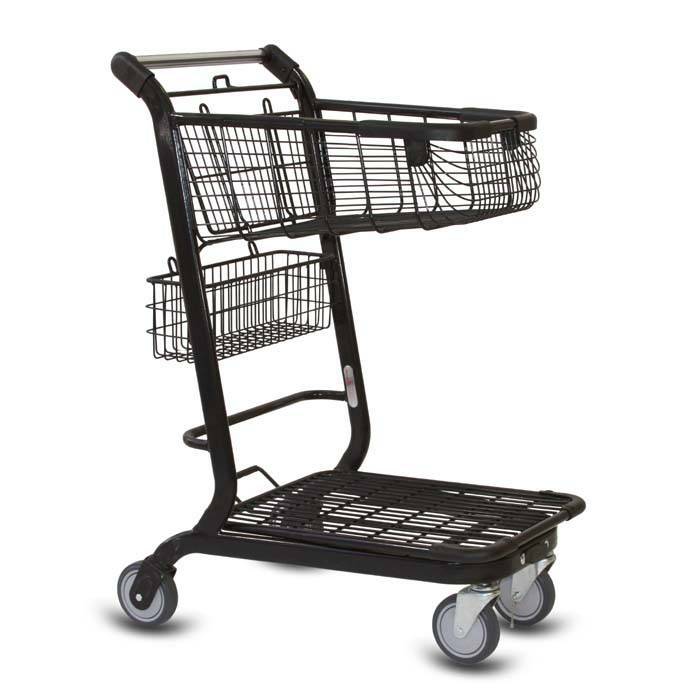 This modern looking single basket shopping cart is ideal for high end liquor stores and convenience stores. 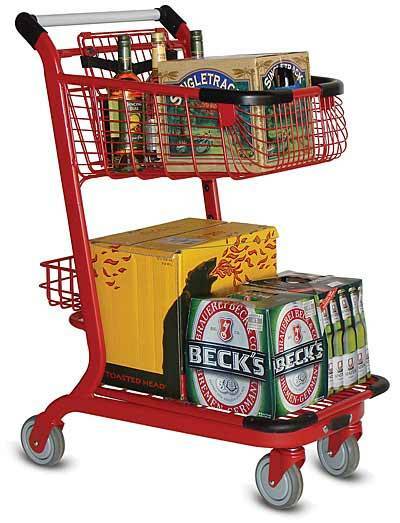 The modern liquor store shopping cart is extremely durable with an oval frame, 5" wheels and sturdy basket. 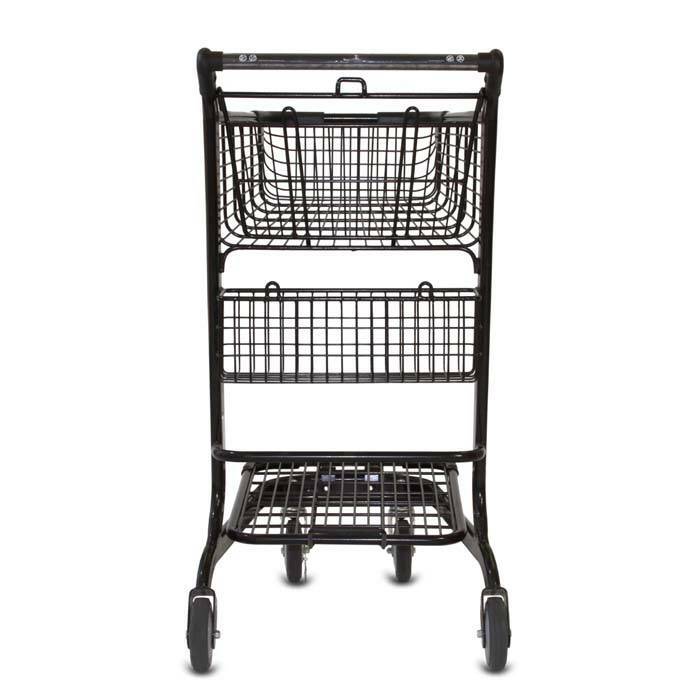 The open lower area provides plenty of storage for cases while the upper area holds the smaller items. Just wanted to say thank you! 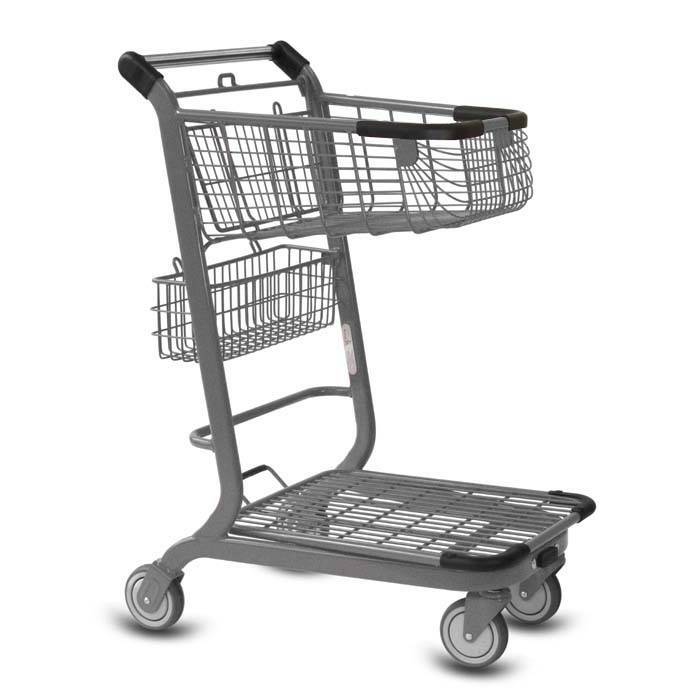 Carts arrived late morning on Friday and we put them in use immediately! 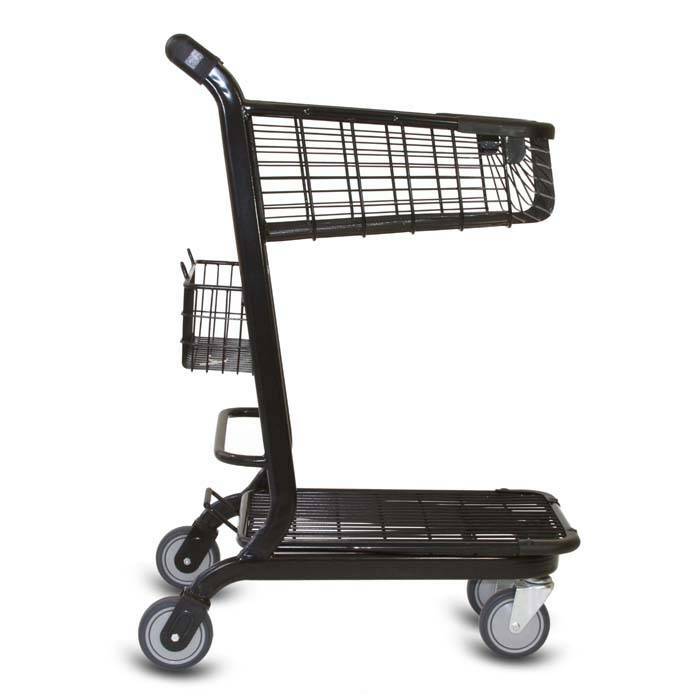 Yesterday my husband called me to say how happy he was that all the carts were being used all day..........so thankful that company helped us get them so quickly!